Just Write About It. 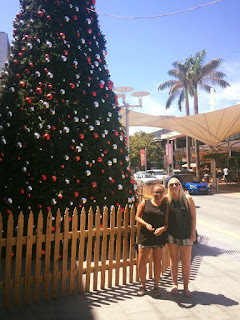 : Spending Christmas Down Under. 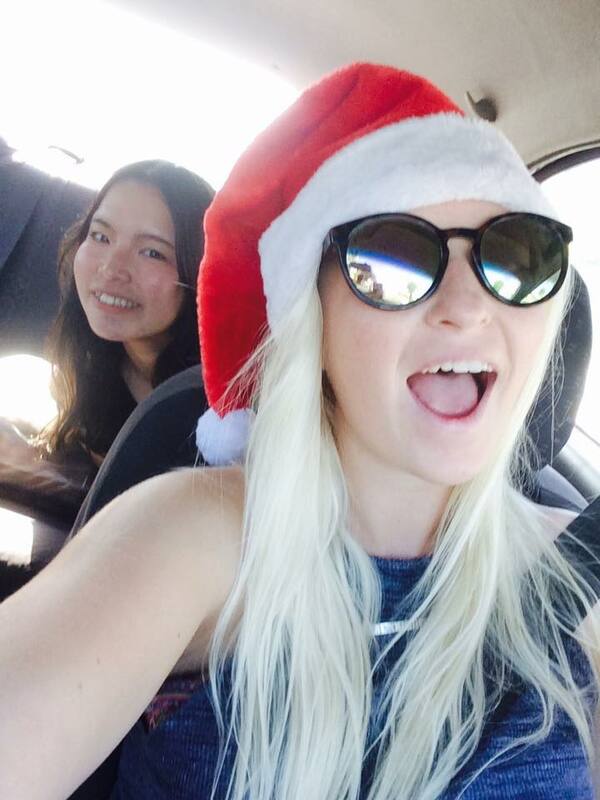 Last Christmas was the first Christmas in my 22 years of existence that i'd spent without my family around me. I never thought that I would be bothered as such. Christmas Day at home is spent planning our meals around what's on the TV and usually falling asleep after eating copious amounts of food to Happy Feet. Yet last year I was thousands of miles away from the Eastenders Christmas episode and the arctic temperatures. 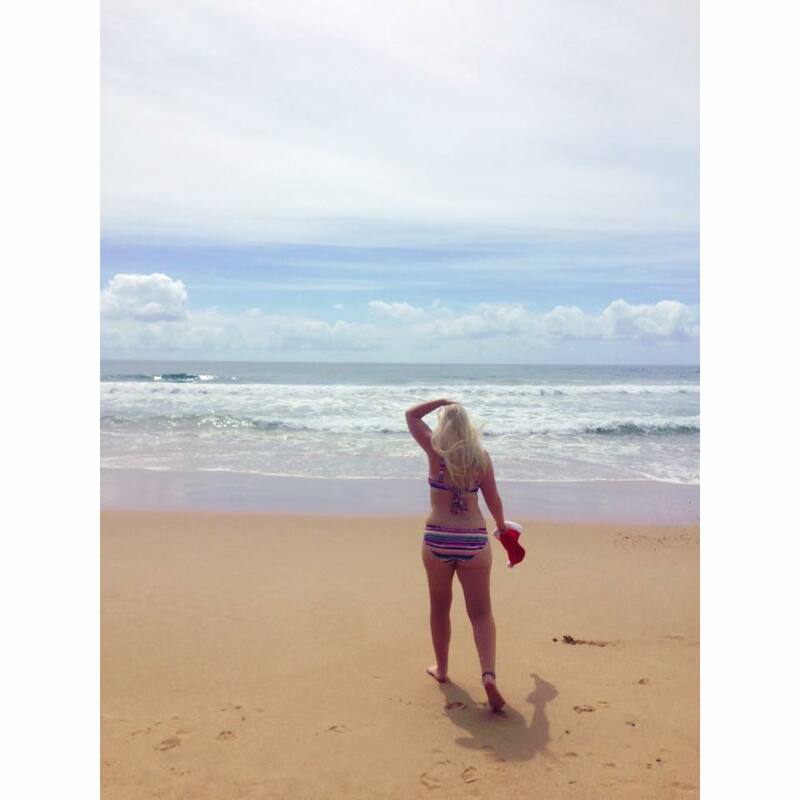 Instead I spent it on the beach I was lucky enough to call my back garden in Coffs Harbour, Australia. I called this place my home for 5 months and there was 1 day in the year when our farm closed and that was Christmas Day. So fortunately for us, we had a day where we did't have to pick raspberries or blueberries for a slave wage. I'd saved up around 11 500MB Wifi vouchers to FaceTime my family in England which obviously started the water-works. It was tough! 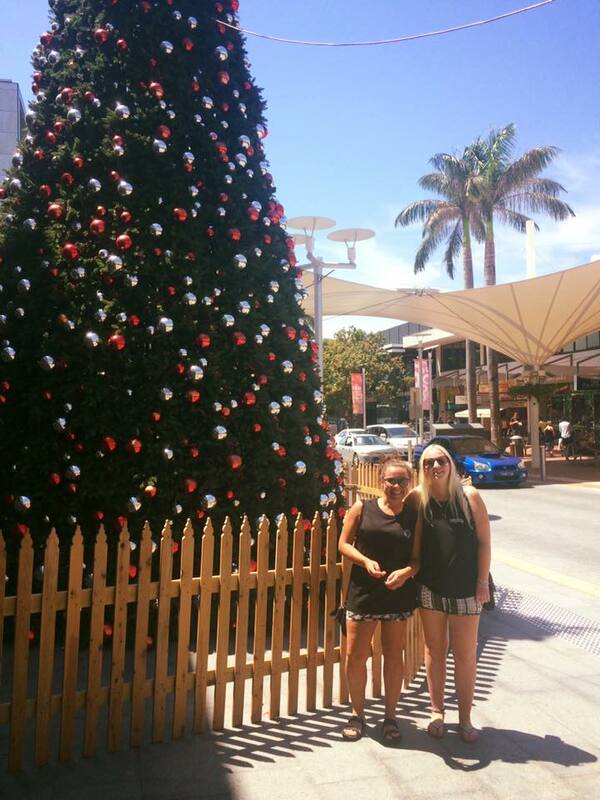 It's a weird feeling during the run up to Christmas in Aus. There's a santas grotto in the mall where everyone lines up in their bikinis under their clothes and their Havianas whilst the air con is blasting down on your, it's just completely bizarre. There was barely even Christmas songs playing on the radio, i'm still to decide whether this is a negative or a positive. It just didn't feel very Christmassy at all. And I'm usually the Scrooge! As a hostel, there were around 40 of us who'd stayed put over the Christmas period while others fled to the cities to see friends and families. The great thing is, every single person in that hostel is going through the same thing. Everyone is hundreds of thousands of miles away from home and you all just want to have a good time. Let me tell ya, trying to organise a meal for that many people with no budget and no oven, isn't easy. But a select few made it possible. We had traditions from all over the world influencing our meals. From Italian lasange, Swedish meatballs to Japanese sushi making, we had it all. 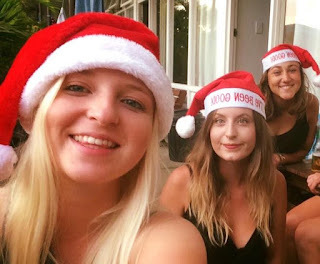 I even learnt a Spanish Christmas song.We spent the day sat on the beach sunbathing in our Christmas hats and had a very boozey evening. But I can't lie to you, it just didn't feel right. There was no cosiness, no humble warmth by the fire or thick new pyjamas to lounge around in all day. But we did have a sense of togetherness and determination to make it as good as we possibly could. And, as I sit in a dreary Manchester back in England this holiday season I can't help but think I didn't make the most of Christmas in the sun. Bikini's, sun-block and... Christmas hats? Nah, doesn't have a nice ring to it. I'd take a Christmas in England any day! Have you spent Christmas away from home too? Let me know what you thought of it in the comments below!